If it's Christmas, it's got to be CANTABILE - THE LONDON QUARTET. Following their triumphant Crazy Coqs début in April, "The Singers Most Songs Prefer" return with a programme packed with Christmas Crackers. 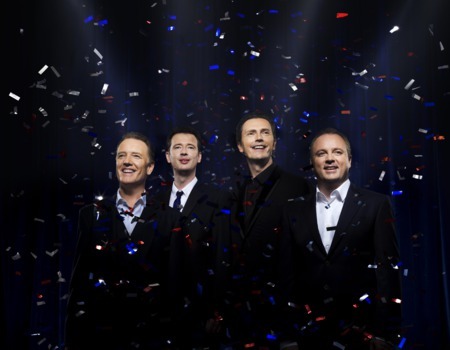 The London Quartet has toured extensively worldwide, singing in the most prestigious venues for the most exclusive clientele, including Buckingham Palace and Carnegie Hall, New York. Join them as they celebrate the end of another remarkable year. They released their 17th album, Songs of Love and War and, for the third year in succession, helped create a major festival in the beautiful city of Alba Iulia in Romania.